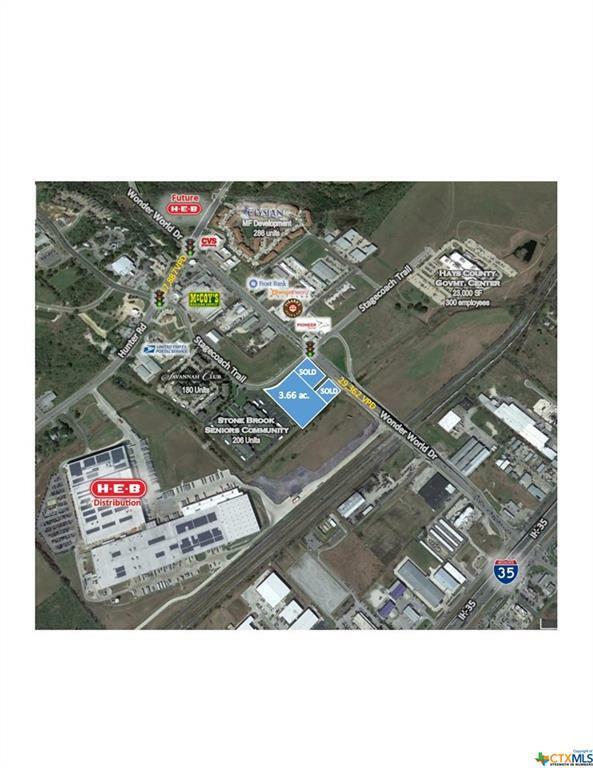 3.66 acre Commercial Property located in the hottest growth area of San Marcos. Property fronts along Stagecoach and is ready for development. Wonder World Drive access via driveway (right in, right out only). All utilities in place. Near signalized intersection of Wonder World Drive & Stagecoach. Close proximity to Texas State University, San Marcos Outlet Malls, Central Texas Medical Center and residential subdivisions. Listing courtesy of Randall Morris of Century 21 Randall Morris & Associates - Sm.